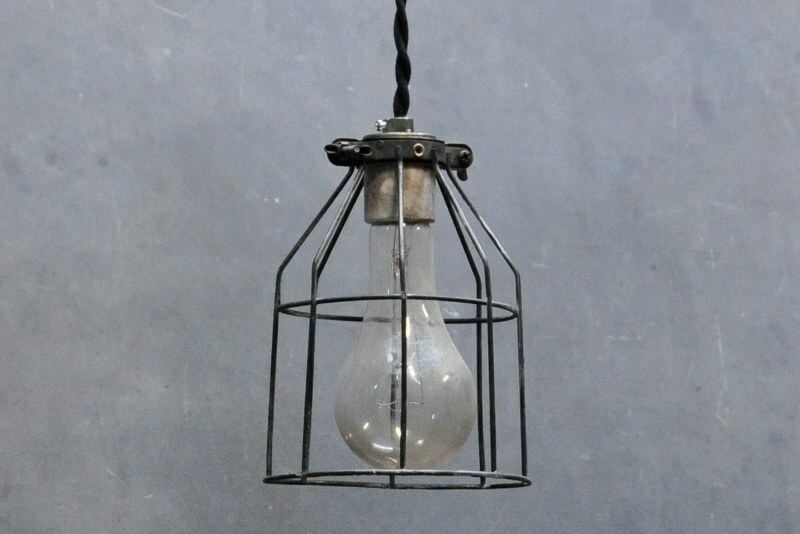 USA, Industrial Open Cage Hanging Pendant Lights. 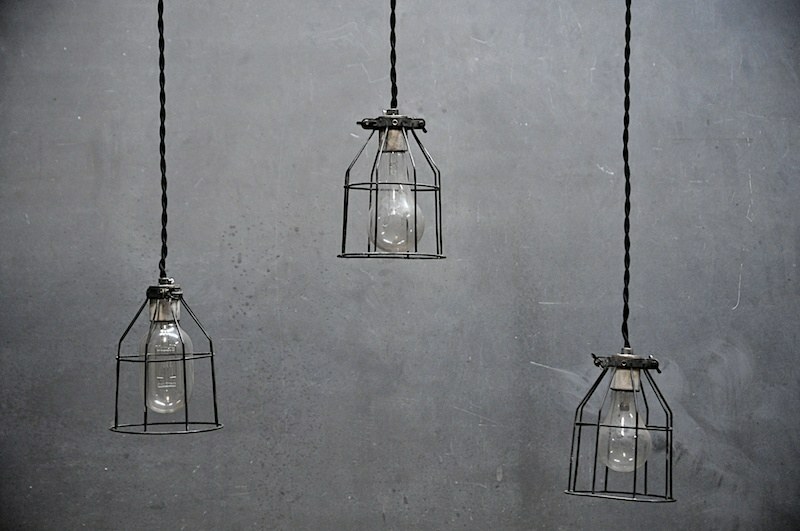 Steel wire cages, porcelain sockets, 3ft. 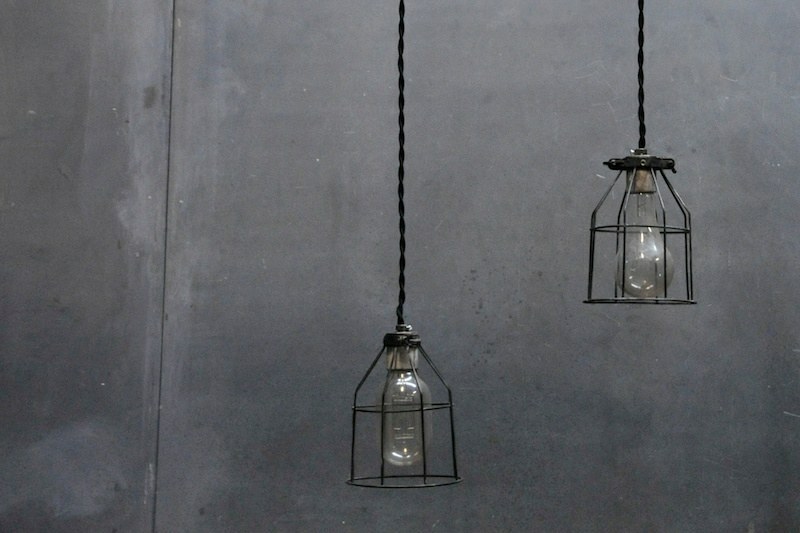 of black braided cloth wire. 5 Dia H 7.5 in.